In 2012 Ivorypress organised the second Humanitas Visiting Professorship in Museums, Galleries & Libraries at the University of Oxford, a professorship developed in close collaboration with and sponsored by Foster + Partners. The second Visiting Professor during this academic year 2011/12 was Malcolm Rogers. The lecture, ‘The art museum in the 21st century’, reflects on the role of the museum in the face of the challenges posed by the current age. Rogers, opposing the academic, elitist model of museum speaks in favour of building a wider audience, champions an ever-changing model of museum that continues to seek and exhibit ‘new and refreshing sources of beauty’ while reaching the widest possible audience. ​This lecture was accompanied by a related symposium called ‘Portraiture: Past and Futures’ which included contributions from Malcom Rogers, artist Shirin Neshat; William A. Ewing, curator of the Foundation for the Exhibition of Photography, Lausanne; and writter A. S. Byatt. The event was chaired by Sandy Nairne, director of the National Portrait Gallery, London. ​As part of the C Photo Project, Ivorypress has been supporting different educational and academic initiatives for several years. The close relationship between Ivorypress and the University of Oxford through the Humanitas Chair of Contemporary Art offers students and attendees the possibility of coming into contact with outstanding academics and artists of our time. Lectures, workshops, debates, symposia were held every first week of May in Magdalen College and the Ruskin School of Drawing and Fine Art. 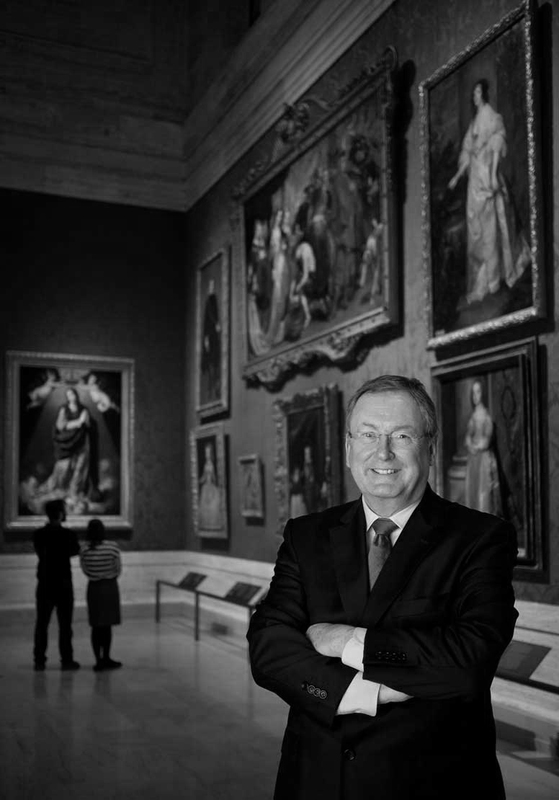 Malcolm Rogers assumed the role of Ann and Graham Gund director of the Museum of Fine Arts, Boston, in 1994. Under his leadership, the Museum has undergone a transformative building expansion and renovation, including a new wing for the Art of the Americas and the Ruth and Carl J. Shapiro Family Courtyard.